In two words, Barcelona was…just okay. Don´t get me wrong, it’s an amazing city! It just didn’t blow me away, and I think that is what I was expecting. 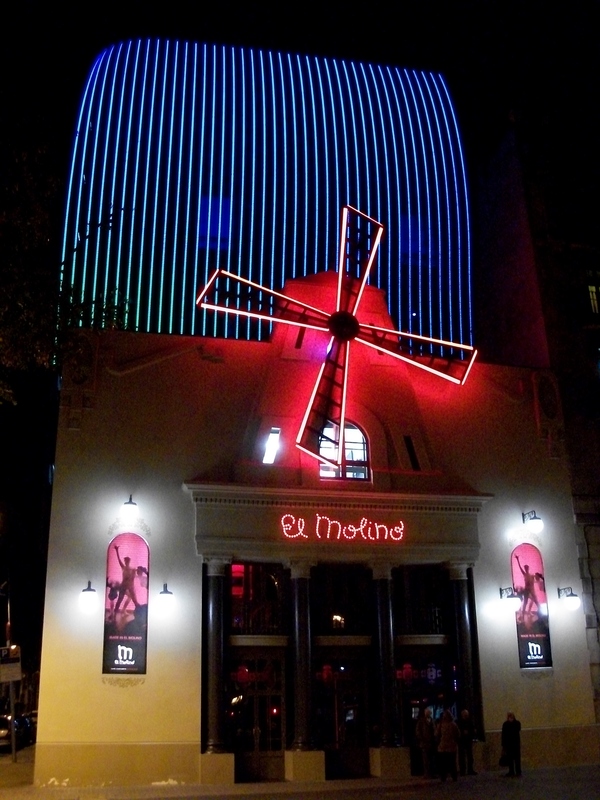 I have heard that Barcelona is the place to be, even over Madrid, and that its proud natives weren’t all that friendly. I found both of those claims to be false. I didn’t expect Barcelona to be as big as it was, not that I had any basis for that assumption. The city isn’t just big, though, it’s sprawling! Everything is kind of spread out, which made it a little bit inconvenient to see all of the things we wanted to see (not that the weather was on our side in that case either). As a whole, the city is way more modern than the other places I’ve visited in Spain. The Gaudí houses are awesome!! As is a lot of the other architecture in Barcelona. It’s definitely different from the traditional Spanish buildings and charming, old city centers everywhere else I’ve been so far. Casa Mila, probably the most famous Gaudi house. So cool! 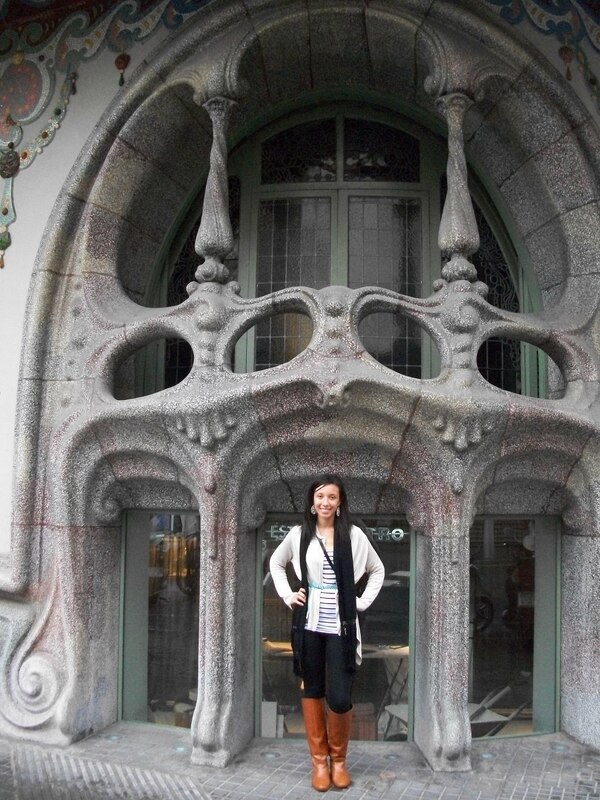 In front of another Gaudi building. 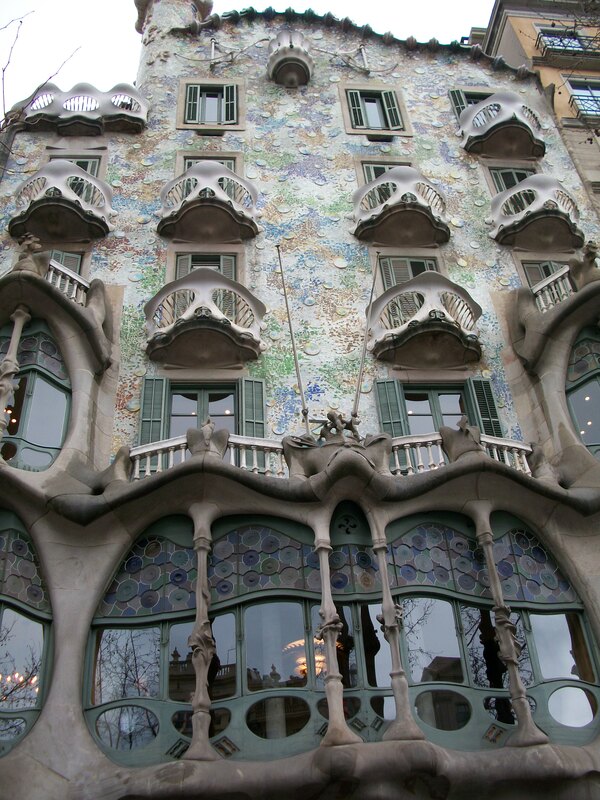 The Gaudí houses are built right into the city and some are even used for businesses and apartments. Walking down the Block of Discord is definitely a lot to take in. The big sidewalks and artistic details are beautiful! The allies off of Las Ramblas, one of the main streets in the center, had quite plazas, hidden restaurants and a great open-air market and north of Plaza Catalunya had great shopping, but I think my favorite area of the city was the older, medieval part. I guess I love old architecture because it is so different from what you see in the United States. 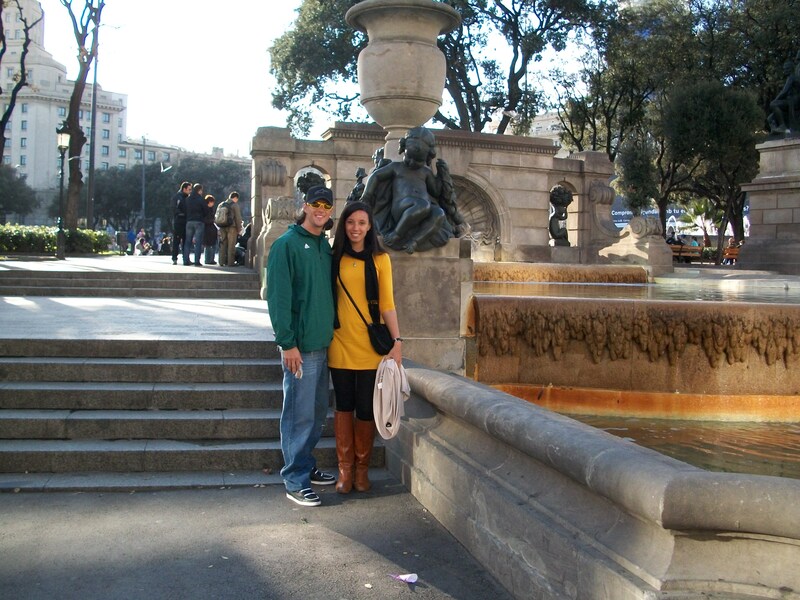 In front of Plaza de Cataluyna. The people in Barcelona proved the rumors I had heard wrong. (Maybe the rumors come from the rivalry between Madrid and Barca? Ha.) I thought everyone was nice and helpful and as far as I could tell, everyone spoke to me in Spanish not Catalan. It probably helped that we stayed with the aunt and uncle of Beau´s friend who couldn´t have been more hospitable to us!